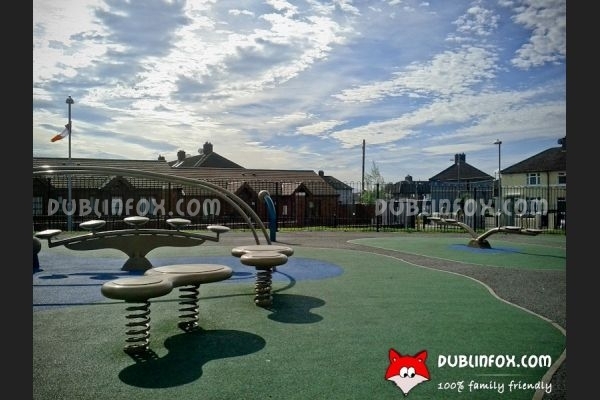 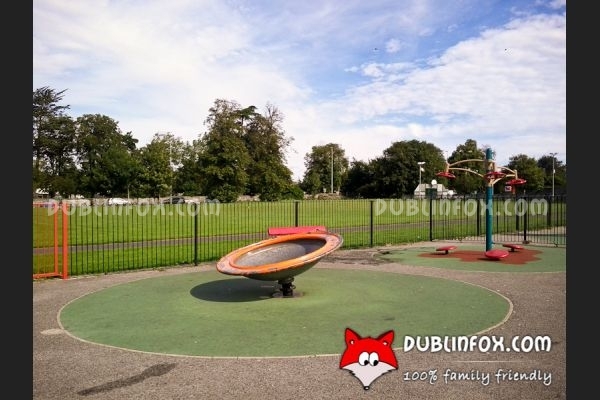 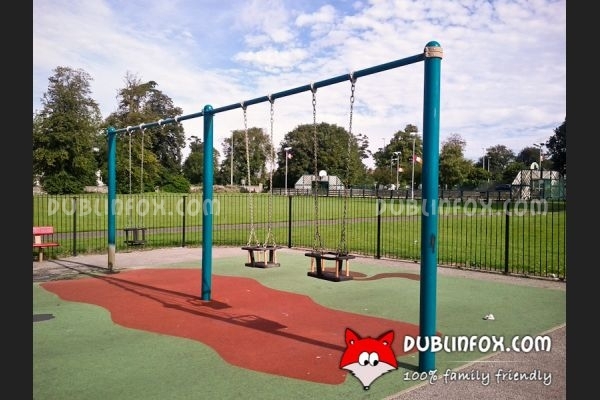 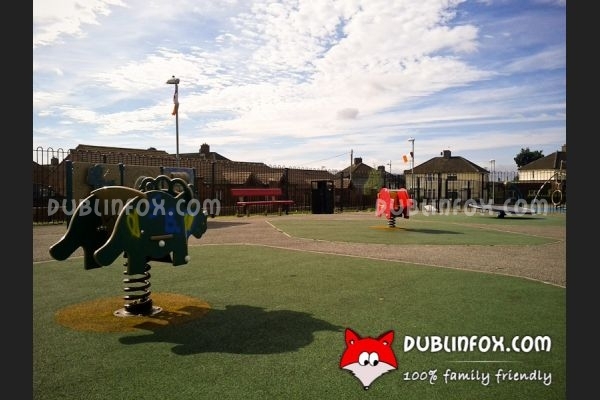 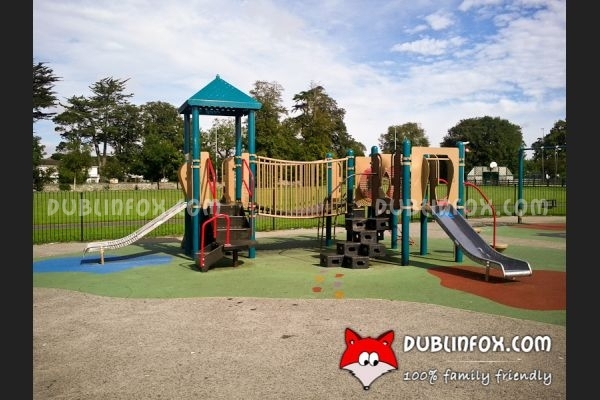 Donnycarney Park is a bit of a mistery to me, because we visited the playground on a sunny Saturday morning and apart from a father and his two kids, we were the only one playing there at 11 am. 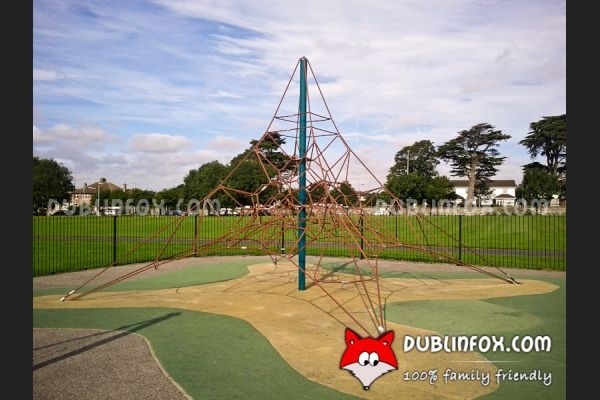 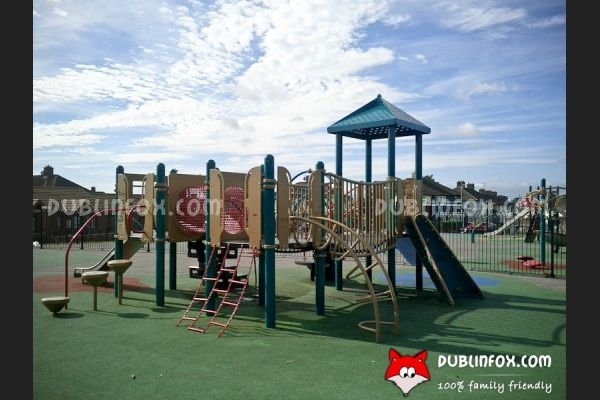 The playground comprises a Junior and a Senior play area and it is well-equipped. 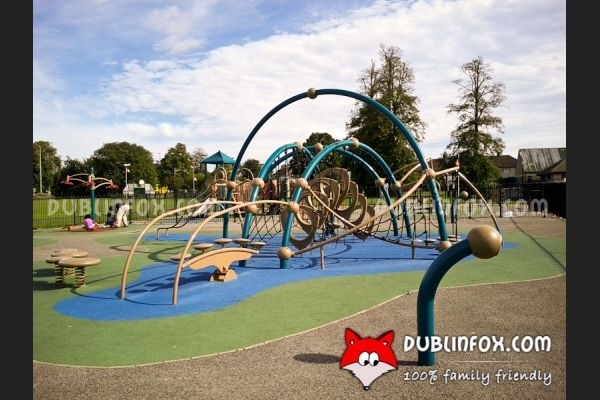 In the junior section there are some springers, baby swings, a dutch disk, a play panel and a multi play unit with slides; while the senior section - among others - consists of a massive climbing net, a slide unit, some balancing- and climbing structures, two talking tubes and several swings. 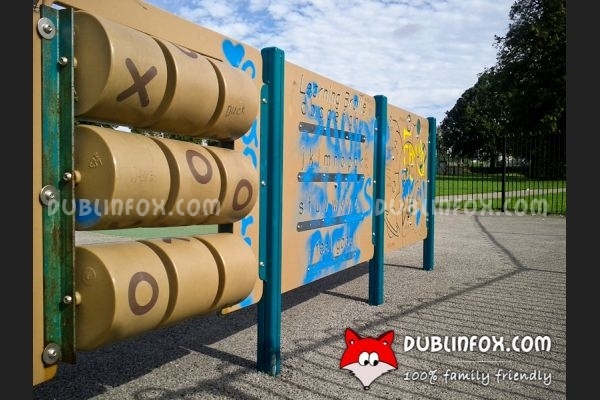 Unfortunately - in spite of the fact that the playing equipment is modern - the playground seemed a bit unkept, when we were there: the springers and the play panel were full of tags and graffitis; the surface was burnt at some places and cigarette butts could be found everwhere... 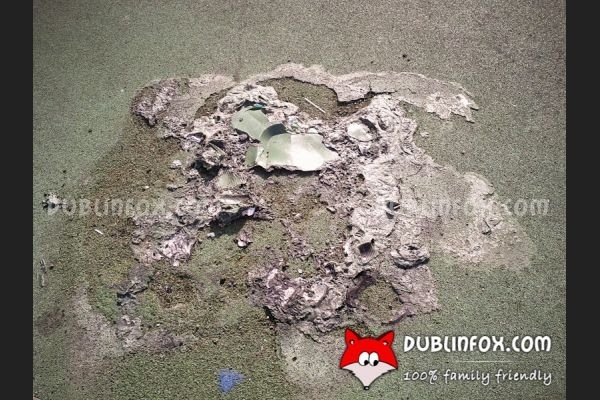 Sad, to say the least. 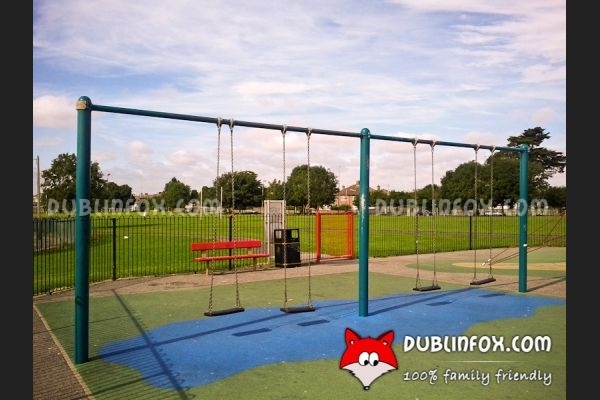 Click here to open Donnycarney Park's website in a new window.